I know some of the readers of Talk in French study business in France while some are working or doing business in a French-speaking area. 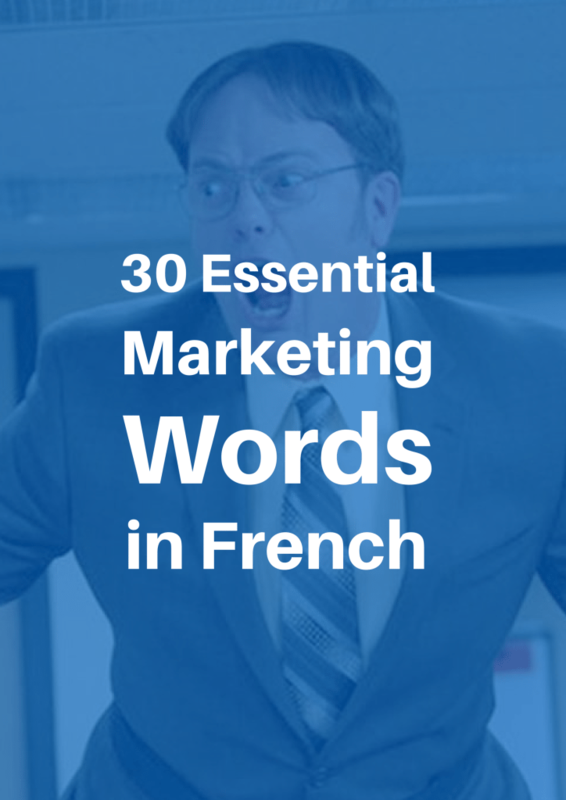 So I am sharing 30 essential marketing words in French, which I am sure you will find useful. 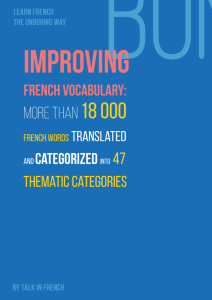 If you want to learn even more words, you can also check out one of my e-books: Improving French Vocabulary (the most complete French Vocabulary e-book available). I also offer an extended version of this blog post, (55 French words instead of only 30) saved as a PDF which you can print for daily use. The extended list is among the MANY free resources you can access when you subscribe to the newsletter. Click on the button below. If you are hungry for more, do not hesitate to have a look at my e-books at the Talk in French Store. Let me know which one you find the most useful for you in the comments section.